Altamofen tablets are nonsteroidal anti-estrogen tablets containing Tamoxifen Citrate, which basically functions as an anti-cancer drug. Tamoxifen Citrate blocks the biological effects of the female estrogen hormone on the development of breast cancer. Tamoxifen Citrate tablets (Altamofen) are prescribed as oral therapy in women as well as men who have developed breast tumors which are dependent on estrogen for their growth and survival in the body. Altamofen tablets are also recommended as treatment in women who have a higher risk of developing breast cancer to effectively lower the possibility of contracting breast cancer. Altamofen tablets are suggested as anti-cancer treatment after the completion of surgery, radiation, and chemotherapy to prevent the metastasis of the cancer cells to the other parts of the body and also to lower the chances of the recurrence of tumors. 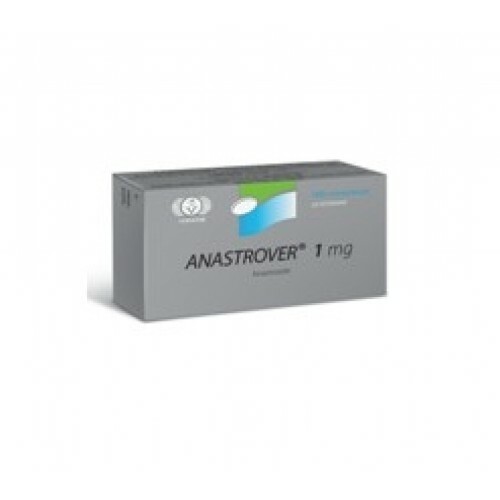 Since Generic Nolvadex tablets mimic the characteristic of an anti-estrogen, bodybuilders and weight-training athletes also use Altamofen tablets to elude the adverse effects of estrogen such as gynecomastia, water retention that develop at the end of a steroid cycle. In our online pharmacy, Altamofen tablets are available in the strength of 10 mg and 20 mg of Tamoxifen Citrate. Altamofen tablets. 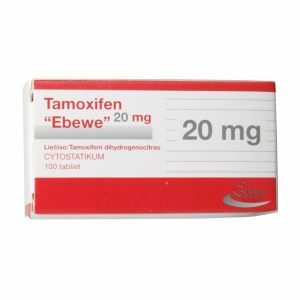 Other brand names for Tamoxifen Citrate tablets include Istubal, Valodex, Tamoxifen Apo-Tamox, Gen-Tamoxifen, Novo-Tamoxifen, Tamofen, Tamone, Citofen, Crisafeno, Diemon, Istubol, Kessar, Noltam, Nourytam, Novo-Tamoxifen, Oncomox, PMS-Tamoxifen, Tamoxifene, Tamoxifen, Retaxim, Tamizam, Tamoxasta, Tamoxen, Valodex, Zemide, Tamoxifeno, and Soltamox. The active pharmaceutical ingredient in Altamofen tablets is Tamoxifen Citrate. Each Altamofen tablet contains either 15.2 mg or 30.4 mg of Tamoxifen Citrate which is equivalent to 10 mg or 20 mg of Tamoxifen respectively. The inactive ingredients present in Altamofen pills are carboxymethylcellulose calcium, magnesium stearate, mannitol and starch. What are Altamofen Tablets Used For? Altamofen tablets, manufactured by Alpha Pharma, contain Tamoxifen Citrate which blocks the biological effect of the female hormone called estrogen on breast cancer. Altamofen tablets are typically administered as oral therapy for cancer treatment in men and women who have been diagnosed with breast cancer whose growth and survival is dependent on the estrogen hormone. Altamofen tablets prevents the growth of breast cancer by disturbing the effects of estrogen hormone on the breast tissue. Tamoxifen Citrate can be used for cancer treatment after the patient has undergone primary treatment such as surgery, radiation, and chemotherapy. Altamofen tablets are used as preventive therapy to reduce the risk of breast cancer in women who have been diagnosed to have a higher risk of developing estrogen dependent breast tumors. Tamoxifen Citrate tablets (Altamofen) have been used as breast cancer therapy in women for a very long time. Treatment with Altamofen tablets is usually recommended in women of child-bearing age as well as post-menopausal women. Generic Nolvadex tablets also helps to prevent the recurrence of breast cancer. The administration of Altamofen tablets also reduces the risk of developing breast cancer in the other breast in women who have already had breast cancer in the past. In addition, Tamoxifen Citrate tablets is used in women to effectively decrease the risk of development and metastasis of breast cancer who have a medical condition called ductal carcinoma in situ (DCIS) (breast cancer located in the milk ducts and which has not spread to other body parts) and have already received breast cancer surgery and radiation therapy. In certain cases, Tamoxifen Citrate tablets are also used to ease the symptom of breast pain (mastalgia) because it decreases the blood level of estrogen hormone which causes the breast swelling. 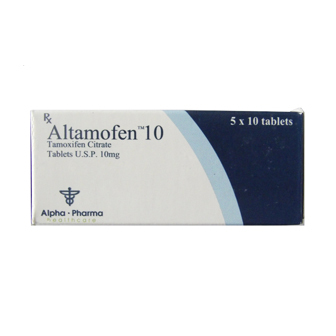 Altamofen tablets are also used to treat males who are diagnosed with breast cancer. Women with anovulatory disorders such as irregular menstrual cycles and absence of ovulation cycles are also suggested a therapy with Tamoxifen Citrate (Generic Nolvadex tablets). Tamoxifen Citrate tablets are also used for the treatment of mania in patients suffering from bipolar disorders. Treatment with Altamofen tablets (Tamoxifen Citrate tablets) is beneficial as an anabolic steroid cycle auxiliary drug and as a recovery or as a post anabolic steroid cycle therapy drug. Body builders use Altamofen tablets (Generic Nolvadex tablets) towards the end of a steroid cycle as anti-aromatase therapy to reduce the amount of circulating estrogen, decrease water retention, and to prevent estrogen related gynecomastia (growth of breast tissues in men). Altamofen tablets act as anti-estrogen, which aids in bringing the testosterone level back to normal because the estrogen levels are elevated towards the end of a steroid cycle. Altamofen Dosage – How to Take Tamoxifen Citrate Tablets? You should use Altamofen tablets (Tamoxifen Citrate) exactly as recommended by your doctor. Your doctor may suggest a dosage of Altamofen tablets depending whether Generic Nolvadex tablets are used for the treatment or prevention of breast cancer, the stage of cancer, body weight, other medical conditions, and current medications. Tamoxifen Citrate should be taken once or twice a day with a glass of water, after a meal to avoid indigestion problems. Try to maintain a regular schedule for the medication such that you take Generic Nolvadex tablets at the same time every day, to get the maximum benefit of the medication. Doctors usually recommend a dosage of a single Altamofen tablet (Tamoxifen Citrate) once daily after a meal. If the daily dosages for the treatment of your medical condition exceeds 20 milligrams, you will be ideally advised to spilt into two doses, one half in the morning and the other in the evening, or as recommended by your doctor. Your doctor may alter the dosage of Altamofen tablets and dosage period depending on your response to treatment. Treatment with Generic Nolvadex tablets should be continued for a period of five years, unless your doctor gives you different instructions. You may need to monitor your health through frequent blood tests and mammography during the course of treatment with Altamofen tablets. The recommended daily dosage of Generic Nolvadex tablets for the treatment of metastatic breast cancer in men and women is 20 -40 mg, preferably in multiple doses, one in the morning and the other in the evening. Women diagnosed with Ductal Carcinoma in Situ, will ideally be advised a daily dosage of 20 mg of Altamofen tablets for a period of 5 years after they have undergone surgery and radiation therapy. 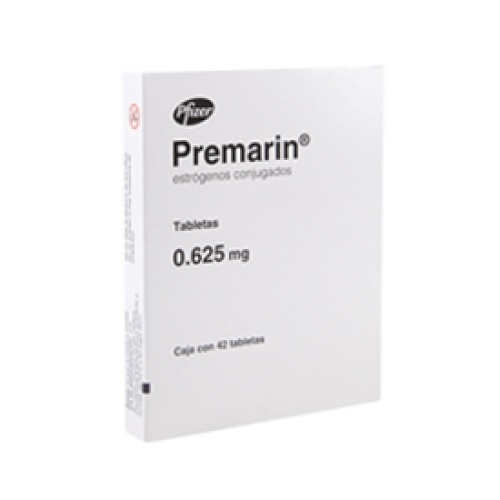 If you’re taking Tamoxifen Citrate as a preventive therapy to reduce the occurrence of breast cancer, you will be advised a daily dosage of 20 mg Altamofen tablets for a period of 5 years. Patients suffering from bipolar disorders are usually prescribed a daily dosage of 20-40 mg of Altamofen tablets which should be orally administered twice a day. Bodybuilders who use Altamofen tablets (Generic Nolvadex tablets) after 3-4 weeks post the end of a steroid cycle are usually advised a daily dosage of 10 mg – 60 mg of Tamoxifen Citrate.